Wow, was it ever cold yesterday. Minus 16 and very windy, which is, of course, the killer! But not so bad today. Had a fun day yesterday. Michael, Doug and I went to Cowansville for breakfast...almost didn't go since there was a bit of a snow storm...in fact we were part way to Sutton instead when it cleared so we changed course and headed to the Station. It's always such a treat. The kids were asleep in the cottage...teenage boys would sleep until their wedding night I think. But they finally got up, so Doug and I dropped them at Mont Sutton and we took off to the bistro in the village to chat. It's one of the treats of his visit - a chance to get caught up. Doug's just back from a couple weeks in India. He's a follower of Amma and always comes back fortified after a visit to her ashram. We love talking about things like belief and faith and how we screw things up. Doug more than me, of course. Then picked the kids up at 4pm. They were yearning for one thing. Cereal. Go figure. So we stopped at a store and got them Fruit Loops. Everyone came back to our place (the Big House - a short walk from the cottage) for dinner and a movie. We made roast beef (I way over-cooked it) with potatoes and parsnips...and maple syrup pie for dessert. Oh, dear Lord. Take me now. It's like a giant butter tart...and that can't be a bad thing. Theo told a hilarious story about a lobster his mother brought home a few years ago and he thought it was meant to be his pet. (It was alive). He named it Chester and played with it. But doesn't seem to have recovered from the trauma of dinner that night. However, he admits, he loves eating lobster. Hope that wasn't a hint. Hey, we got him Fruit Loops, what more could they want? The kids put a James Bond film on in the TV room and the three of us chatted...then it was time for bed. 8pm. Apparently the kids and Doug went back to the cottage and watched another couple of movies. We were bagging 'Z's' by then. Tonight we'll have an easy dinner of left-overs. And they're heading back to Toronto tomorrow morning early. Weather's supposed to be good. Everyone's sick around us these days. Poor Tony's down with the flu and Gary's been bed ridden...at least...hmmm. That's what they tell us. Though Gary did manage to get up to the cottage to pound some siding that wanted to go 'walk-about'. Today's the first quiet day in a long time. I had some interview questions to respond to, in writing, which I just finished. And now will take a book and sit by the fire. Trudy managed to get up on the counter and eat 1/4 pound of butter, some fudge and shortbread cookies. Frankly, better her than me. But it was a race. We don't stay up to see the New Year in. Haven't in years. Honestly, even when I was younger I never really saw the point...and most of the parties seemed strained. I actually think I'm just too lazy. I think we might re-set the clocks so they say midnight, celebrate, then go to bed. It's a kind of damp, cold day. But fun. Had to zip in to the village to get some things for lunch. Michael's former lab technician, Claudine and her 16 year old daughter Katherine were coming for lunch. Driving 2 1/2 hrs from the lower Laurentians. We decided to do a tortiere with wild rice salad, lentil salad and a green salad, as well as fresh baguette. Picked all that up then dropped into the bistro to say hi to brother Doug and Joan, having coffee together. Arrived home just in time to greet Nancy, who was there to fix Michael's computer, again. Damn servor keeps messing up. Poor Michael - very frustrating. And just as I got the groceries in, Claudine and Katherine arrived. Such lovely people. Claudine worked in Michael's lab (working on childhood leukemia) for decades. They adore each other, so it was such fun to see her again and get caught up. And Katherine, who is lovely, wanted to interview me for a school project she's doing. So we sat in front of the fire and while her mother and Michael chatted we yakked as well. Doug came by just as we were getting up from lunch to take the dogs for a walk. He was just settling in when the phone rang...his son Brian from the ski hill. He and Theo were ready to be picked up. They're coming over in an hour or so. We'll have a spaghetti dinner. Easy. Everything in this house is easy. Claudine and Katherine brought their HUGE black dog named Ebony and we all agreed when you have dogs in the country you can't be house-proud. Hair everywhere. Toys. Slobber. Bones. Mud from outside (though we try to clean their paws). Honestly, it looks like Fred Flintstone's cave sometimes. Finished the draft of THE BRUTAL TELLING. Still not sure which version I like best, but we're off to Hovey Manor for a few days next week and I'll take both along and read them there. I know whichever I choose it will still need editing and polishing and tweaking. It's a process that never ends. The Neverending Story! Oh, more good news. The Murder Stone was chosen the top mystery of the year by Margaret Canon of the Globe and Mail, along with Giles Blunt's No Such Creature. The Murder Stone was also chosen as the top pick by the Hamilton Spectator. Be well and I'll talk to you tomorrow. It feels like spring. Easter, rather than Christmas. Of course, with the amount of sleep I can do maybe it is Easter. What did I miss? There's a great review of A RULE AGAINST MURDER in this weekend's Charlotte Observor. The lead review, and four out of four stars. Wonderful. Had a wonderful day yesterday. Breakfast with Joan was fun, as ever. And Michael joined us this time. Then worked more on book 5. One of the major issues with writing these sorts of puzzle mysteries is - not surprisingly - when to give readers the answers. Obviously who committed the murder is only one (albeit a large one) mystery. But that one is answered because of a series of small puzzles. they build on each other until finally the answer is clear. But when and how to feed out the smaller solutions? It's about pace, and the pleasure of the reader. That exquisite tension when you long to know something... but once you do, that energy, that excitement can disappear...unless it leads to another mystery. Right now with THE BRUTAL TELLING I'm struggling with one issue in particular. When to give the readers the answer. It's quite a big one, though not the ultimate answer. Do I tell you sooner or later. What leads to a richer reading experience? What's more fun? Knowing, or not knowing? the danger in not telling until later is a) building up expectations, that the answer had better be worth all this wait. b) having people lose interest...milking it dry. So I've actually written (or am in the process of writing) two versions. I was inspired to do this partly after our visit earlier this month to the Rodin Museum...and seeing that clearly The Burghurs of Calais didn't just appear...he did any number of different versions, different studies...all of them there too. Fascinating to compare. Frankly, they all looked like masterpieces to me. But he was aiming for something specific. And the final one is better than all the rest...though all are brilliant. So I thought I'd try that with the book...two different versions and see which one I like the best. So I'll have to rush off soon and get more work done on that. But it'll be worth it, I'm sure. Anything for a better book. Yesterday afternoon we went across to our neighbors place - Guy and Nicole. Their two granddaughters were giving a Christmas concert for the neighborhood. Rachel is 13 and a gifted singer. Sarah is 11 and plays classical guitar. Incredible family. Paule - their mother, who was also there, was a ballet danger...as was her husband Martin (Guy and Nicole's son). You might remember my mentioing in a blog in April that Martin had died. He was in his mid-thirties and Guy and Nicole's only child. He had a virulent form of MS - so it was a long, slow departure. Torture for everyone. But the children (perhaps as a result of this suffering, his and theirs) are amazing. Compassionate, dedicated, fun and funny. They speak French only, but learned a few songs in English just for us. Imagine that? Aren't people amazing? If anyone doubted the existence of Grace they just need to visit this family. They did the concert, and Rachel even danced for us all...then had tea and Christmas cookies. Then left. Wrote a bit at home, went to Sutton to meet friends...then dropped by the guest cottage where Doug (my brother), Brian, his son and his great friend Theo had just arrived. Such fun sitting there, fire on, tree lit, kids eating chicken wings Pat had made for them...and being with people we love so much. Life is good. And, as though we had any right to it getting better, with it being so mild all the snow left and Maggie made it around the pond again! Hopping all the way, of course. But tail going the whole time. This is bliss. This is contentment. This is good fortune. I hope this finds you content, and surrounded by light. God knows, I have my off-days. When I'm filled with anger, jealousy, pettiness. When the world is bleak and unfair. When I not only want to cry, but do. I've written about those days as well. Balance. I'm coming to appreciate how important that is. Things even out. My job is to be grateful for the good and accept the bad. And move forward. Lovely, restful day. Boiled up the turkey bones last night and finished the job this morning so that by noon the aroma of home-made turkey soup filled the home. I think that's about my favorite holiday thing - the smells of cooking. Especially coming in from outside - all cold. And smelling homemade soup. We had that for lunch, sitting by the fire. Jim and Sharon came by after noon to say goodbye. And drop off the bed linen and towels. So we have a big load in, ready for our next guests to arrive tomorrow. Though, while Sharon and Jim can hardly be considered guests, our next set definitely aren't. It's my brother Doug, his oldest son Brian (13) and his best friend Theo. They'll be staying at the guest cottage until the kids get bored and want to go home, which might be a day or a week or more. The kids love to ski and are looking forward to it, but unfortunately after all our snowstorms it's supposed to rain tomorrow and Sunday! Yech. Don't you find Boxing Day just the most restful? No visitors? No place to go. Just puttering. And in this case finishing the revision of THE BRUTAL TELLING. The last 20 pages are always the most challenging (it's Doug's fault) because it's the explanation...which apparently should make sense. So I'll re-read tomorrow what I did today and see if it's an improvement. and if you read THE BRUTAL TELLING and hate the end, what do you need to remember? Off for breakfast with Joan tomorrow, then food shopping...God knows what we'll have for dinner. For now I'm headed to a bubble bath. Merry Christmas! Hope you've had the Christmas you wished for. We did - a quiet one with good friends. What blessing. The older I get the more I value simplicity. And so my wish for you today is simple. That you be surrounded by love and light. Happy holiday. And thank you for the many gifts you've given me over the past year. Happy Christmas Eve! We have tortiere about to go in the oven. The potatoes are mashed. Jim and Sharon are arriving in an hour or so. The computer has been turned off (laptop) and moved from in front of the fireplace. Oddly, a bit of a wrench to do that. I was within 30 pages of finishing this edit of The Brutal Telling - but getting tired. And, as you can imagine, these last chapters are the most complex so I don't want to be confused or tired or hurrying. Maggie bouncing around already. We were a little worried yesterday when she didn't want her banana - which is her gummi bears...but by last night she was gobbling them. Michael collected Trudy from Pat and Tony's place...they'd agreed to take her so we could concentrate on Maggie. Trudy seemed impressed with the 'air' where a leg once was, sniffed a big then got on with her puppy life. Maggie no longer seems quite as bewildered, though she does seem a little down. I expect that's natural. We hope you have a really lovely Christmas. last year Michael and I spent it on our own, just the two of us. And it was so peaceful...we loved it. But this year we decided to invite friends for dinner...actually we eat around 2pm. Which means - we did the math earlier - the turkey needs to go in at 6am. We'll be up with all the neighborhood 8 year olds. Thought about asking Tony to come up and put the turkey in but we think that would be the end of the friendship. I once called Pat (who does some cleaning for us) to tell her we were having guests and ask if she'd mind coming by to clean. I left a message on her machine only to get a call an hour later from a friend, Liz, to say if we really needed her to clean she'd do it, but she was a little confused. Seems I'd called the wrong number, and had inadvertently asked Liz to clean our home, for a dinner party she wasn't invited to! Oh dear. Hope you enjoy whatever Christmas you've been given this year. Quiet, hectic. Alone, filled with people. And hope you feel peace and contentment. Hope we do too! Beautiful day after the storms of the past 2 days. Linda Lyall, who manages and has designed my website and lives in Scotland wrote to say Quebec made the BBC newscasts because of the terrible storms. We, however, loved them. A maggie update - she's doing brilliantly. Michael and I are exhausted. Like with all stress we didn't appreciate the weight until it was gone. We all had a bit of a stressful night. Maggie's adjusted amazingly to life without that leg...though she was groggy and kinda drunk and we had to lift her up[ the stairs of course. But she actually ate her dinner. We got up every few hours last night, making sure she was OK. It would be horrible for her to survive the operation but be killed by our incompetence. Odd, but looking at the wound and the spot where a leg used to be doesn't bother or upset us at all. Nor does it seem to upset her. As many of you wrote in, your own pets had the same experience. Don't I wish I could be as accepting and adaptable. Maggie spent the day in the kitchen, so we did too for the most part. Or in the dining room wrapping the last of the gifts. I'm the world's worst wrapper. No patience. I just slap the paper on, tape it, fold, tape. Done. No finesse. Not even an attempt at aesthetics. the good thing about Maggie in the kitchen is I got almost all the Christmas cooking done. Hard suace. Cranberry sauce. Sweet potato casserole, regular mashed potatoes. Tomorrow Jim and Sharon are coming for Christmas Eve dinner of tortiere and mashed potatoes, and chocolate fondue with fresh fruit. Did another 80 pages of editing...am at page 430 of a 520 page manuscript. Might even finish this edit of THE BRUTAL TELLING before Christmas. Wouldn't that be great? Snow, freezing rain and rain expected tomorrow. Safe travels. Oh, speaking of travels I had the most hilarious email from two guys who've become email friends. Donald and Ray, who live in Kansas City and are known as The Gay Travelers. They write columns for gay publications about all their travels. They wrote a lovely note of sympathy about Maggie and some very funny travel experience about a woman whose son Buddy spent 2 days trying to get home this past weekend. It was really only funny because I realized he'd made it just fine. But if you're traveling, please be careful. Be prudent. Be sober. Be alive to celebrate this wonderful season. Will talk tomorrow. Just heard from the Vet...Maggie sailed through the operation and is doing really well!! Oh, what a relief. And, we get to pick her up in a couple of hours and bring her (or, as my brother says, most of her) home! We're both thrilled and leery. We know for sure she'll be far more comfortable and happy at home. But will we kill her? This will clearly demand good sense and judgement - from the woman who just recently tried to flush a whole pot roast down the toilet. Doug, my brother, wrote this morning wishing us luck and saying he and his dog Buttercup said prayers for Maggie before breakfast - though he wasn't sure if BC's prayers weren't for him to friggin hurry up and put down the food bowl. Can't quite believe that they amputate a leg in the morning and she'll be home in time for dinner. But more than anything, we're relieved. We set the alarm for 6:30 this morning. It was still dark, but Trudy was all excited. I looked outside and could see a dark figure outside, against the snow. It was Tony. He'd come up to dig us out from all the snow that fell overnight, so we could get Maggie to the vet for her 8am appointment. Imagine doing that? He was out of bed before we were on a blizzardy morning, shoveling. I'll tell you, even by country standards Pat and Tony are remarkable. Angels, really. We try to keep up with them in terms of kindnesses, but we're so far behind even Tony couldn't dig us out. We got to the vets in time, going very slowly along the snow-clogged, white-out roads. Michael took a picture of Maggie outside the vets, just in case. And we were fine until we had to say goodbye and they led her away. As soon as the door closed I started to cry. Happily it wasn't my normal slobber - but neither could I pretend I had something in my eye. Except a bit of grief. Anyway, now we all get to heal. Did loads of wrapping today, and will make hard sauce and cranberry sauce tomorrow, then the sweet potato casserole the next day. This is a celebration. Be well, and will report in tomorrow. Happy Winter Solstice. Happy shortest day of the year, Happy Hanukah! We were expecting to be walloped by a terrible blizzard, and at about 10 this morning the snow started, the wind picked up and Michael ran outside to his car to go into the village to pick up salmon, so he could make his world famous gravlax. (we tried to get it last night but by the time the party was over the IGA was packing up - fish counter closed). So he hot-footed it out to Sutton. I cleaned up the breakfast things, brought wood up from the basement, ran water in the tub in case we lost power...then lit the fire and started my days editing. Michael blew in an hour later - laden with salmon, clever lad. So the gravlax is fermenting, or whatever it does...but have to say, it's yummy! Basically it's like smoked salmon, only actually sort of 'cooked' in salt and dill over three days. I think I just made that sound disgusting. But it's great. the storm seems to have died down. Bit of a shame...not quite the howler we were hoping for. THE MURDER STONE climbed back up the bestsellers list this week. Number 5. Always great for the week before Christmas. Tomorrow, we start collecting names for the big draw! Thanks to St. Martin's Minotaur (US publishers) we're giving away 10 signed copies of A RULE AGAINST MURDER. This is to promote the launch of the book January 20th in the US. Tell your friends, tell strangers. Order early since I know here in Canada there are no more hardcovers and I know they're selling fast in pre-orders in the States. If you want to enter the draw you need to go to the Home Page of my website and click on the icon. Good luck! Thank you again for all your kind wishes, and wonderful stories about 3-legged pets. Honestly, I think I prefer them now. Trudy had better not stand still long. Happy Winter Solstice, Happy shortest day, Happy Hanukah! Amazing day. Brittle, brilliant. Gleaming day. Crunchy under foot. A day to freeze the nostril hairs and take your breath away. The air seemed to crystalize so that it sparkled. Off phenomenon. But beautiful. I want to take a moment to tell you all how deeply grateful Michael and I are for your kindness, your thoughts, your support as we head toward Monday and the day Maggie has her leg amputated. We know it's the right thing. But it's hard. Made considerably earlier by the kindess of friends. We went through a period a number of years ago when Michael's health was in question and I was so taken by how crucial kindness was. People calling to ask. People cutting articles out of the paper they thought we might like to read. Nothing, by outside measurements, immense. But inside this terrible world we suddenly found ourselves in those acts were anything but trivial. I think people often run away from people in grief, or pain - for fear of either saying the wrong thing, or that too much will be asked or expected. they'll need you to cook dinner, or take them in, or do something extraordinary. But I know how amazing just a smile is. An arm squeezed. That small human contact. Far more important, I found, than any grand gesture could ever be. So we're sustained by your kindness...and we know Maggie will be bouncing around before we know it. Who needs 4 legs anyway...really very greedy. It's the new economy. Less is more. Ok, not very cold compared to my brother and his family in Edmonton...minus 29. I remember living for a couple of years in Winnipeg (LOVED it) and it got so cold the tires froze square. The car seats felt like concrete. I remember crying in the car it was so cold. Now that I've remembered that today here actually seems downright warm! Did another 50 pages of the manuscript. I've found that perseverence, perhaps even more than creativity, is what matters as a writer. Head down. Keep going. Don't even think about quitting. Had a wonderful day at home...sat by the fire and did nothing but edit. Maggie's doing all right - no worse, which at this stage is a blessing. Michael called the vet and confirmed the amputation. We're to take her in Monday at 8am. By now we can hardly wait, since the leg is clearly bothering her. Off for breakfast in Knowlton at Chez Guy with Cheryl...then having coffee tomorrow afternoon with another friend, in Sutton - Janet. Then off to a Christmas party tomorrow night. That gives me 3 hours, I figure, to edit tomorrow. Hope to do my 50 pages...but will do my best. My goal is to finish this edit (there will be many more) by Christmas. Must go - dinner's ready. Speak tomorrow. I'm all better - no more cold or flu - but yesterday Michael crawled into bed and announced he was sick. I took his temperature. 101. Out with the hot water bottle, the Tylenol, the trashy magazines, and Sudoku. Poor guy. But he crawled back out of bed to go with Maggie and me to the vets. Her leg is getting much worse and a decision has to be made. Hope is a funny thing. It shifts, changes, adjust. It's alive. As we've gone through this with Maggie we first hoped her leg could be healed. Then we hoped it wouldn't get any worse. Then we hoped the steroids would work. Then we hoped amputation wouldn't be necessary. And when we took her to the vet yesterday we hoped it would. We hoped he wouldn't say there was no hope left, and her time had come. At first he looked at her leg and said, if you tell me to put her down I won't stop you, I won't argue. I could feel the tears, and fought them down. I don't cry all that often, but when I do it's a mess. And I needed to think, not feel. Not yet. So we asked about amputation. He hummed and hawed. What to us a month ago was unthinkable had suddenly become the thing we most hoped for. Please, say yes to amputation both Michael and I thought. The vet called a colleague, and reviewed Maggie's x-rays, then returned. He examined her again and asked some questions...yes, she gets around fine limping on 3 legs (the rear left leg broke last winter and couldn't be fixed - it was actually the elbow joint...it's been getting worse since, though she didn't seem in pain until a couple months ago...but she hasn't put weight on it for 3 months or so). Yes, her appetite is great. Yes, she goes up and down stairs, with encouragement. She sleeps, wags her tails, goes to the dishwasher to lick the dishes. She still has a great quality of life. Except for the leg. But she's a 10 year old golden. I'm not saying this was an easy decision for us. Is it fair to put our beloved dog through an operation like this? Would it be more loving, more humane to let her go? Honestly? I don't know the answer. Are we being chickens by hoping for amputation? Just putting off the inevitable and forcing her to live with pain, longer? The vet has agreed that amputation is a legitimate option - and the operation will be on Monday. Apparently it's more traumatic for the 'parents' than for the 'puppy' - I hope that's true. But we love her - and while we'd hate to see her go, we'd really hate to put her down without trying every reasonable option. We'll see. And watch her closely. And if, after the operation, she's still in distress - well, then hope will shift one more time. We hope we have the courage and decency to do what's right. But for now, we have every reason to believe it will be a greart success, and three-legged Maggie will be in fine form! Been sick in bed for 2 days...flu I think - so much for having the shot! Started feeling queasy yesterday morning on our way to breakfast, but I thought that was just stress. It always hits me in the stomache. But as the day progressed (and we did chores all over town) I got to feeling more and more nauseus. Had to do some grocery shopping, including buying Michael his dinner...by then I knew I wouldn't be eating anything. Now, if it's folly to grocery shop while hungry, it's even worse to do it when wanting to throw up. Poor Michael. I came home with mince tarts, pannetone and broccoli. Then had a hot bath, crawled into bed. Took my temperature. 101. Within an hour it had climbed to 102. Spent the night trying not to throw up. I suspect Michael (after a dinner of broccoli and pannetone) probably did the same thing. But at sometime in the night the fever broke and the nausea disappeared. Having been motion sick a few times in my life I think nausea is just about the worst thing. I kept thinking of my friends who've gone through chemo and thought if they can take it for months on end I can sure not whimper for one night. Passed the time by planning my funeral. Very moving. You were all very sad. I did wonder what would happen to book 5 - THE BRUTAL TELLING...since it's still in the editing stage. However, it appears (against all odds) I've survived. Still a little wiped...but had enough energy to get up for a few hours and do another 50 pages of editing. Happily I really do love this book so it didn't add to the desire to vomit. Small snow storm on the way for tomorrow....10-15 centimeters expected. But what makes it a storm is really more the winds. I love storms, as long as we don;t have to go out in it. Lise dropped by today and delivered 3 amazing, exhuberant gift baskets she'd made. chocolates, truffles, cookies, pickles...one is a gift for us and 2 we ordered to give to friends. One to Lucy and Danny at the Brome Lake Books, and the other to neighbors Guy and Nicole. I'll tell you, Lise is the MOST amazing woman. Her talent is matched (and perhaps exceeded) by her generosity. Talk tomorrow...be well. I won't kiss you. It's a dull day, outside. But lovely inside. Tree is up and decorated, as is the house. We don't go overboard - just a few small things. Wreath on the door. Santa sleigh on the roof. (kidding). Today I editing about 60 pages of THE BRUTAL TELLING while listening to Christmas carols in front of the fire, with the tree lights on. Somehow, it doesn't feel like work. Now am off to a bath. Michael and I had a terrific dinner last night at the bistro in Sutton with David and Lili. Steak frites. Can't go wrong. We talk a lot of politics...US, Canada, Quebec, and local. biggest thing in our lives is this massive, horrible gas station and convenience store in the middle of town. It's so tall it actually blocks out the view of the ski mountain. 16-hundred people signed a petition (organized by city hall) to stop construction...and city hall ignored it and allowed the building anyway. Sound familiar. So we're boycotting it. If you come to Sutton, please get gas somewhere else. And please use the tiny convenience store down the street...the one in danger of going under because of the gas company store. Honestly. The service station used to be a real delight. Privately owned, it hired young men and women - kids really. Often their first jobs. They'd pump the gas...and older people would come from miles away because they didn't have to get out of the car on cold, rainy, snowy days. And the kids were so bubbly and nice. The first thing the new owner did was fire the kids, make it self-serve, then ignore the wishes of the population and expand. 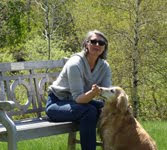 We're off for breakfast in cowansville tomorrow - and hoping to take Maggie to the vet. And do more editing. As you see, it's quite a long process, this writing of books. Another stunning day, but totally different than yesterday. We had another 4-6 inches overnight so there's about a foot of fluffy new snow. So white and undisturbed. And with the sun bouncing off it its like a field of diamonds. We have a glass solarium attached to our country kitchen - I think I've described this before. When we're sitting in it it feels as though we're outside. Particularly spectacular during storms. But this morning it was even more magical. The snow on top had partially melted and encased half the glass in ice. That alone is beautiful. But when the sun strikes it it becomes like a prism. And through that prism of light and colour we can see the yard...the birdfeeders piles high with snow, the pine boughs and white fences and stone walls all coverred. And in the background sky. Perfect blue sky. I could stare at it all day. Lise dropped in around 9am...she had tea and we had our coffees. She brought gummi bears and home-made date squares. Does it get better than that? We chatted and I told her how much people are loving the Christmas ornaments she made. Showed her the emails and told her about the other reactions. I know how much she appreciates what you say. Thank you, from her and me. Hoping to decorate the tree and the house today. Going out for dinner tonight with a couple of friends - David and Lili. Then back in to some more polishing on book 5. It never actually ends! Hope you're well...and don't forget to enter the draw for the signed copies of A FATAL GRACE! This contest ends Monday - but then a new one begins...for signed copies of THE CRUELEST MONTH. But you need to sign up for the newsletter. You can find the info on the website homepage. Stunning day - loads of fresh snow - about 10 inches...25 or so centimeters. Piled up on the trees and in the fields and on the roads. so beautiful. Everything shades of gray and dark green today. And yet it is so peaceful. Muted. Not great for travel. Lise was supposed to come this morning but we called back and forth and at first re-scheduled for 1pm, then cancelled completely because the roads really are too treacherous. We drove in to Sutton early before it got too bad and did a few chores. Bought orange biscotti (not exactly a chore) then when we got back home safe and sound we celebrated by making cafe au laits and dipping the biscotti into them. Lunch was home made soup I made yesterday after roasting a chicken and boiling it up. fills the home with such comforting aroma. Got the Christmas decorations up from the basement. The tree is up in the lving room. Lights on. Fire laid in the hearth...but probably won't get further until Sunday...perhaps tomorrow. Did some Christmas cards today...then laid out on the sofa in the TV room and watched Gladiator. Wept and wept. (fab sound track too!) I'd forgotten just how wonderful it is. It is the dream - to be in the country, with husband and dogs, and friends visiting, fire laid, tree up, christmas lights outside, and snow gently and insistantly falling. And no need to leave. No planes to catch. No trains. No long drives. A deep dream of peace. Hope you've also found some peace, in your own way. Or can see it coming...I know you probably haven't started your vacation yet. Thanks for reading...I'll report in from the home front tomorrow. Oh, yes. Dropped by the bakery meaning to buy fresh croissants (they were out) but comforted myself by getting a fresh pear and cranberry pie. The place smelled of tortierre in the ovens. Heaven. Peace and heaven. Of course, I think I appreciate it all the more for having gone away a lot. My grandfather taught me that poem when I was 8. I actually use it in book 4 (THE MURDER STONE/A RULE AGAINST MURDER). Gamache remembers his father teaching it to him - though I use an earlier bit. I love wandering on some foreign strand...but my heart burns for home. Stayed in Montreal last night. The snow had stopped (Montreal had about 30 centimetres) but it was dark by the time the train arrived and rush hour...and I thought...well this is why we've kept an apartment in the city. So I chatted with Michael a couple of time, walked to the store for dinner. Didn't feel like ordering pizza (I might be dying)...but at the store all I felt like was fruit so got two small buckets of sliced mangos and some yoghurt. As soon as I got home I smelled someone cooking steak. And looked down at my pathetic pile of fruit. Had I really forgotten I'm a carnivore? Of course then all I craved all night, as I ate the mango, was red meat. Michael and I are trying to do one day a week vegetarian. To save the planet and our waistlines. Its an imperfect effort. And result. Had lunch today in Sutton with our friend Cotton. Just ran into her coming out of the bakery, and Michael was at the post office - so we all met up at the tea room for lunch. Always fun when that happens. Lovely to be home - with Michael and the girls. And heaven to know we aren't going anywhere for a month...until A RULE AGAINST MURDER comes out January 20th in the US. I'll be going to Phoenix for a couple of days just then. Then off to Quebec City for a month to research the next book. But for now - we're home. Bring on the blizzards. We have hot chocolate, christmas cake, duck tortiere (today is NOT the vegetarian day) and clementines. And each other. Had a great time at Casa Loma last night. forgot to mention another mystery writer who was there and read from his first mystery - though he's written many other books. John Moss. His book is called Still Waters. Casa Loma was beautifully decorated for the holidays - Christmas lights and a massive tree in the huge hall. Lovely. Came back to the hotel, called Michael, read and went to sleep. Breakfast arrived about half an hour ago and now I have to run downstairs and grab a cab to the train station...heading back to Montreal. We'll see what the roads are like for the drive down. We're nearing the shortest day...night fall comes early. It's dark by 4pm - and dusk by 3pm. And the sun doesn't rise before 7:30 pr 8am. I'll write more tomorrow. Be well. Am in my lovely hotel room at the SoHo Met in Toronto. Having breakfast of hot porridge, fresh fruit and coffee. Coming here is one of my favorite things. The rooms are amazing, the staff aware and happy (some people are good at this job and others shouldn't be close to the public - but at the SoHo Met they choose people who manage to be solicitous without being surly or obsequious). The general manager is wonderful! One of my favorite hoteliers ever. David Kelley. Hope to grab a coffee with him later. Thank you to Taryn Manias at McArthur and Co (Canadian publishers) for putting me up here for 2 nights - heaven. Came down yesterday afternoon by Via1 - first class - also thanks to McArthur. I mention first because it isn't all that much more expensive than regular, but what a difference. Much more room - and not a bad hot meal. Met Jill Walker, a friend from CBC, on the train. We worked together in Quebec City...so we had a fun chat then retired to our own chairs. I stared out the window for 5 hours, listening to my iPod and letting my mind wander. Everyone on the list is an Arthur Ellis winner or nominee - and this is an unbelieveable opportunity to get a signed book as a Christmas gift - from any or all of us. 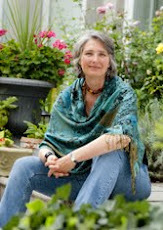 Speaking of signed books - don't forget to go to the home page of my website http://www.louisepenny.com/ and sign up for the signed copies of A FATAL GRACE. It's a Christmas giveaway. Good luck. And, we did the draw for the Three Pines Christmas ornament - thank you to everyone who entered. The correct answer to the question was 'Ogilvy's'. And since I'm in Toronto and forgot to bring the winners names I can't tell you who won - except that we've notified them so if you haven't heard... But thank you for entering. It was a fun contest...and a fabulous prize. Quebec election held last night. Mike did an amazing job hosting the election special. Provincial Liberals won a majority...and the official opposition is the separatist Parti Quebecois. They always do this dance...take turns leading. Though this is the third mandate in a row for the Liberals. Must go. Porrdige getting cold - not many foods worse than congeled porridge. I'll try to blog tomorrow, but I have an early train and depending on weather will try to drive back to Sutton. Speaking of weather (as all Canadians do) it was minus 22 yesterday morning when we wiped the snow off the car to head in. And the windchill made it feel 10 degrees colder. And yet - it was also terribly beautiful. A brilliant blue, crisp morning. Dangerous driving though. Black ice. But way milder today Michael says. Rain expected. Would much rather have snow and minus 20! Had a marvellous dinner with Mike and Dom last night. Fire on in the guest cottage - cold night - we walked in and were wrapped in warmth and the most luscious aroma. Slow cooked lamb provencale. Dom's from France and really, really know how to cook. So we sat and chatted over drinks - wine for them, water for Michael and me - then moved into the dining room and just had a great time. Mike and I go back before I met my Michael...we worked together in Quebec City...and Dom is an amazingly talented marketing person. He was just in London co-ordinating the launch of 2 new high end fragrances. So fun to hear about their lives, and to talk about our candidly with people we know and trust. It was fun, calm, relaxing and stimulating at the same time. Then home to the puppies, last out for the night - and fell asleep in Michael's arms. Have a fairly quiet day. Pat and Tony came before breakfast to pick up things we're giving to the Reilly House - a senior's centre in Mansonville...Pat volunteers there. After finishing the blog I have some emails to return, an interview to do, the ornament draw to make (for the two spectacular Christmas balls Lise made, inspired by the Three Pines books) - and two book endorsements to write...one for a Canadian publisher (terrific book actually set in Norfolk) and one for an American publisher for a mystery also set in the UK (the writers are both British) - it's a manor house mystery set in 1805 - with a wonderful Miss Marple-esque aunt/detective. Couple hours work should do it. Then off to Toronto tomorrow for an event at Casa Loma at 7:30 Tuesday night. Weather's supposed to be horrible! Mix of rain and snow. Wouldn't you know it? Received my notice in the mail about the start of my mammograms. Every Canadian woman starts screening (if she wants) at the age of 50...having a mammogram every 2 years. Have a close friend - Sharon - whose cancer was found that way - early too, thank God. I'll do that after Christmas. I'll try to blog tomorrow morning before heading in to Montreal - then hopping the train to Toronto. We have a provincial election tomorrow...looking like the Liberals will win with the Parti Quebecois (the separatist party) coming in second...no big surprise there. Take care - talk tomorrow I hope. Just came home after having breakfast with Joan in Sutton and running some errands and found 4 deer in the field, including a baby. They didn't seem at all bothered by us, but we waited to walk the dogs until the deer had disappeared. Even then Maggie and especially Trudy picked up their scent and hared off after them. No hope of ever catching a deer, of course - besides, they were long gone. The dogs then ate what the deer had left behind. Disgusting. I hate to tell you the things those dogs will eat. And then, when we go to buy dog food the person always asks whether they prefer lamb or chicken. Honestly, they'd really prefer lamb or chicken poop. These are not choosy animals. Had a hilarious time yesterday with the marvelous Nancy - who rescues our computers at least twice a month. This time both computers and both printers, and the blackberry were malfunctioning. After a time she solved the computer problems and turned her considerable attention to the printer. Mine, she discovered, needed to be plugged in. And Michael's was slightly more complex...his had sunflower seeds inside. Seems while we were in Paris the mice had work to do and were either printing, faxing or copying. They'd left a stash of seeds there. Can you believe it? We can't figure out how they (or it) got into the printer, but they can squeeze through the tiniest crack. So Nancy dumped the seeds out and now the printer is ours again - but there's going to be one pissed off mouse in a few weeks when it saunters in looking for dinner. As Nancy said, it could have been worse. Could have been a bear in there. So that's three starred reviews - Kirkus, Library Journal and Booklist, and a rave from Publishers Weekly. I want to remind those of you in the US that the book goes on sale January 20th - co-incidental with the inauguration of Barack Obama. Hope he doesn't mind being over-shadowed. Just a reminder too that the newsletter draws are nearing...we'll be holding it tomorrow for the Three Pines Christmas ornaments, and later in the week for the free copies of A Fatal Grace. All you have to do for the books is sign up for my newsletter. Must head off - Monsieur Charbonneau, the chimney sweep is arriving any minute now (he actually wears a tophat), and then we're heading to the guest house for dinner with Mike and Dom. We're providing the dessert, which of course Laurent in Sutton is actually making. It's a yummy custardy-tarty thing he called F and B - which stands for framboise et Bleuet...Raspberries and Blueberries. As you see our intolerable life staggers on. Talk tomorrow. Hope you're well. Michael's off at the dentist and we've packed up ready to go back to the country. Funny, but I feel a bit conflicted. I really miss home, and the puppies and the friends. But I don't miss what feels like the press of everyday life - of needs. Mail to be opened, responded to, phone calls to return, all sorts of invitations. So muich better to have them than not - my feelings get quite hurt if I feel left out. But at the same time, just to be contrary, I feel stressed about social engagements and really just want to lock the door, close the curtains, draw a bath, play with the puppies and not have to be sociable. But I also know that once home I'll feel much better. Have absolutely nothing planned for tomorrow - except laundry. Need to remember the radio interview this afternoon. Oh, and fabulous news!!!! Sarah Melnyk, my publicist at St Martin's Minotaur in the US wrote yesterday to say A RULE AGAINST MURDER had received a starred review in Library Journal! There are 4 big journals that do literary reviews before a book is published in the states. Libary Journal, Kirkus, Publishers Weekly and Booklist. To be reviewed in any one of them is really the goal since they're innundated with books and can't possibly review them all. And clearly a starred review is spectacular and rare. Bookstores and libaries rely on these journals to decide which books to order and promote, since they can't read all the books either. So this is especially good news. As well, the large print rights to THE MURDER STONE were sold at auction in London yesterday. All the books have been published in large print, for people with difficulty seeing regular print, but this is the first time there's been an auction - which means two publishing houses were bidding against each other. That feels good. Michael and I have been discussing selling one of our cars since for the most part we do everything together anyway. Given both the economy and the environment, it seems to make sense. The only problem is when I need to travel that would leave Michael alone in the country without a car. We have more discussing to do. It's really more a psychological issue since friends would be happy to drive him into the village, or we can stock up for the day or two I'll be away. But it's not comfortable feeling isolated like that. We might get a little car to just scoot around in as a second car. I looked at Mini Coopers on the web and thought they looked fabulous - but do you see the price? 31,000 dollars for a car that fits in my purse? More talking and more searching. And like everyone else - less spending. Heard a wonderful phrase on the Today Show this morning. More love, less spending. Makes sense to me. Spend time with people instead of giving gifts. And maybe choose to give gifts to people really in need, instead of Michael giving me one more thing. I like that idea. Enough babble. We've ordere a couple of pizzas to take down to the country to Tony and Pat - to thank them for looking after Maggie and Trudy. As soon as they arrive and Michael calls, we're heading home. Be well - will talk tomorrow. Nice quiet day. Had breakfast with Jim and Sharon at Chez Cora's and now home. Still replying to emails and doing Christmas cards. Started to wrap gifts for people too. We have Mike and Dom coming to the country this weekend and Susan the following weekend...then Jim and Sharon for Christmas. It's a wonderful time to be with good friends. Tomorrow we need to return the Paris apartment key to our friends. Then Michael has a dentist appointment, then hop in the car and head to the country. I have an interview with the local radio at 2:30 tomorrow afternoon. I'm very happy to say there isn't much to report. Except, the heat's off in the apartment here. Good excuse to get back into pajamas, do up a hot sack, make a tea and crawl back under trhe covers and watch season one of Entourage. I think I'm hooked! Watched Get Smart Monday (didn't like the movie) and Hellboy 2 yesterday (by Jane Austin I believe). Funny with an odd sort of charm. Tonight I have Tropic Thunder on the playlist. Talk tomorrow. Hope you're well. We're all getting quite antsy about the economy, but we keep reminding ourselves that we've been through it before - these things are cyclical...and we need not panic. Cut down on spending, yes. Be sensible (my strong suit, as you may have gathered) - but don't panic. Breathe through your nose, as my friend Sharon says. So we breathe, and count our blessings. Back from Paris! Early. I know, sounds loopy to me too, but Michael and I decided after a couple of days that really, we just wanted to be home. OK - I was the one who decided. And, it gets worse - if possible. We arrived on a Sunday. It was snowing! Can you believe it? But, it was still Paris so that wasn't too bad. We were staying in a friend's apartment in St Germain des Pres (great area). But by Monday I realized I was just exhausted...and that the vacation I really wanted and needed was to just stare at a black wall for a week, and do nothing...I had no energy left, and Paris demands energy. So, over a cafe cream in a local bistro, I broached the subject with Michael...could we go home early? This was not the question he was expecting. Can we buy an apartment ourselves in St. Germain? Can we head off to the Louvre after lunch? Can we go to the Michelin starred restaurant for dinner.... all those he might have found natural if not welcome. But my actual question left him speechless. And then he smiled, took my hand, and said yes. When would you like to leave? I thought about it and said, Wednesday. Two days from then. Which would have put us at 3 days in Paris. His eyes widened a bit, but still he smiled. By now he might have been numb. Or just grateful I didn't ask if we could go to a real estate office and see about an apartment of our own. It's quite helpful that I've tenderized him a bit by making passing references to ridiculous things like that. Anything slightly less ridiculous sounds downright rational. Like leaving Paris almost as soon as we arrive. Once back at the apartment he called Air Canada, re-booked, paid the penalty. Next day we had breakfast at Les Editeurs (a fab bistro in the place d'odeon), walked to the Musee Rodin (great museum - astonishing to see the Burghurs of Calais which I refer to in book 4 right there - as well as the Gates of Hell, the Kiss, the Cathedral etc - thrilling) then off to Au Bon Marche (a department store like Harrods in London - if in Paris you really must try to drop by) We go there for the food court, of course. I'm thinking...(I could see him stealing himself - here comes the apartment question...) Maybe we shouldn't leave tomorrow. Maybe we should stay a little longer. Once again, he looked stunned. Paris seems to have that effect on him. When? he managed to ask. Bless his soul, he smiled again, albeit slightly thinly, and said yes. So we loaded up on presents from Maxim's of Paris (chocolates) and cheeses, cold cuts, baguettes and pastries and headed back to the apartment. And the phone. Yes, said nice Air Canada, for a penalty you can re-book. They didn't buy Michael's argument that one of us had been insane during the last re-booking and maybe we shouldn't have to pay twice. And don't they have a 'family pack' a discount for bulk re-booking? no. So we got seats on the Saturday flight back to Canada. Then Michael had the very good grace to admit he was happy about that...pleased to stay longer and pleased to head home slightly early. I think had Rodin witnessed what Michael did for me last week he'd have included his imagine in the selfless men of the burghurs of Calais. Or maybe the Gates of Hell. So for the remainder of our time we had breaskfast every morning at Les Editeurs, went to Notre Dame, twice. Once to just lap it up, the second time for an hour or so of quietude. The choir was singing and we sat at the front away from the crowds...and it was magical. We went to the Louvre (late November is a great time - almost empty) walked the Jardin des Tuileries - had steak frites on the rue de Rivoli and wonderful seafood at La Mediteranee. Walked through the Jardin de Luxemburg (next to our friends apartment) - bought newspapers and baguette and cheese every afternoon and went home exhausted to feast. Then climbed on the plane and came home. I was ready. This has been a tiring year and I really, really just want to do nothing. So now we're back in Montreal - with a stack of rented DVD's and books and a big, comfortable, familiar bed. Here until Wednesday, then back to Sutton and 'real' life. Have an interview this afternoon with the Toronto Star and want to respond to about 250 emails (not kidding), but will take my time. Because I was away I didn't get a chance to wish those of you in the States a very happy Thanksgiving. Hope it was exactly as you wanted it to be.